A leading budget airline has thrown its weight behind Gatwick's campaign to become the approved airport for major expansion. 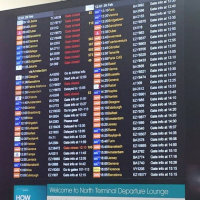 Norwegian has promised that lots more holidaymakers will be flying out of the West Sussex site if Gatwick is preferred over Heathrow. The budget carrier is pledging an extra 150 planes at Gatwick, including 100 short-haul ones and 50 long-haul Boeing-made 787 Dreamliners. But first Gatwick needs to win the Government nod for plans to double its number of runways to two. Gatwick's Stewart Wingate believes this is a significant step in building its case. The chief executive says no other carrier has intervened so "positively" in the whole expansion discussion. Wherever tourists depart from, they can get off to a flying start if they take out trusted travel insurance. This reimburses unlucky travellers who suffer delayed or cancelled flights or lose their passports. It can also cover them for a range of mishaps from lost documents to stolen sunglasses, from mislaid luggage to sickness or injury. Norwegian has eight Dreamliner planes currently operating out of Gatwick. A variety of US flights are among the services offered. These include journeys to New York, Fort Lauderdale, Los Angeles and Boston. It also offers various short-haul flights. Ministers were expected to make a decision last December. But this has been held over while more data is gathered regarding environmental issues. Heathrow expansion would cost an estimated £18.6 billion. The extra Gatwick runway would cost half of that figure at £9.3 billion. The influential Davies Commission favours the former plan.